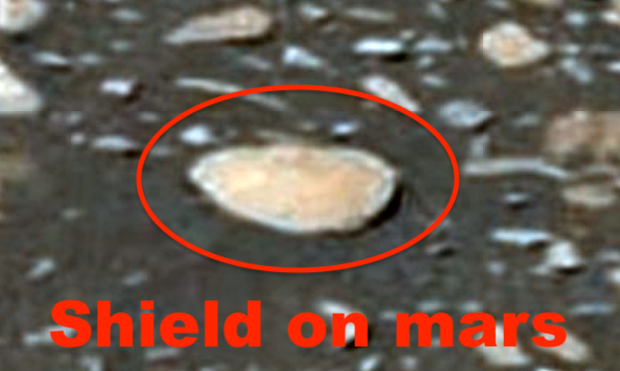 UFO SIGHTINGS DAILY: Ancient Battle Axe And Shields Found On Mars In NASA Rover Photos, April 4, 2019, UFO Sighting News. 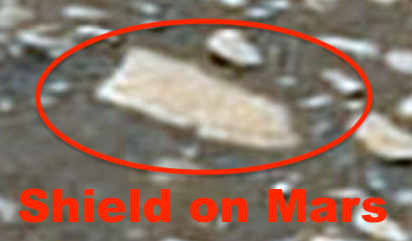 Ancient Battle Axe And Shields Found On Mars In NASA Rover Photos, April 4, 2019, UFO Sighting News. 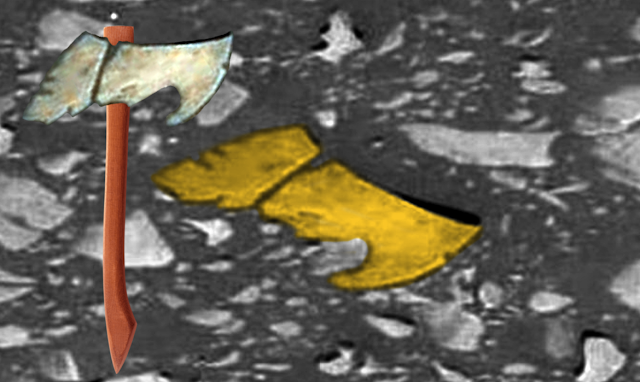 When looking through some Mars photos, I found some artefacts that could be remnants of an ancient battle. 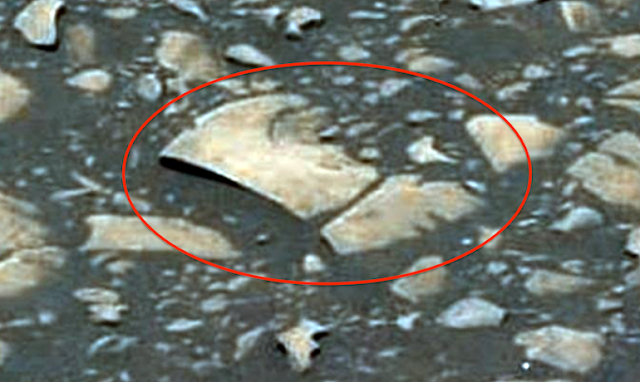 First I found an axe head which looks very similar to axes here on earth. he handle was long gone, but the head was perfect in every way. 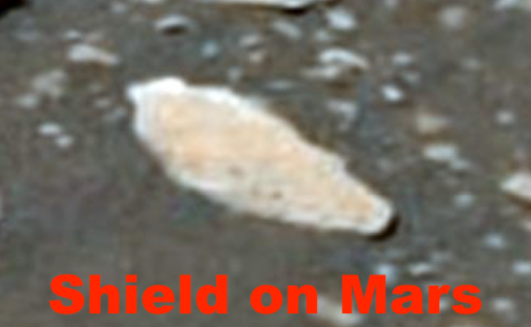 Next I found an oval shield, a curved shield and a circular shield all near the axe head. These are new photos that were taken by the NASA rover this week, so this is the first time anyone has ever seen them. 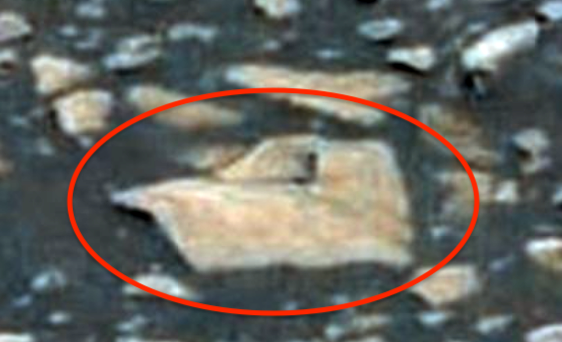 The evidence of ancient life on Mars right in front of the Mars NASA Curiosity rover and the scientists at NASA totally ignore it. How could they ignore the possibility, the chance no matter how small, that life could have once existed? 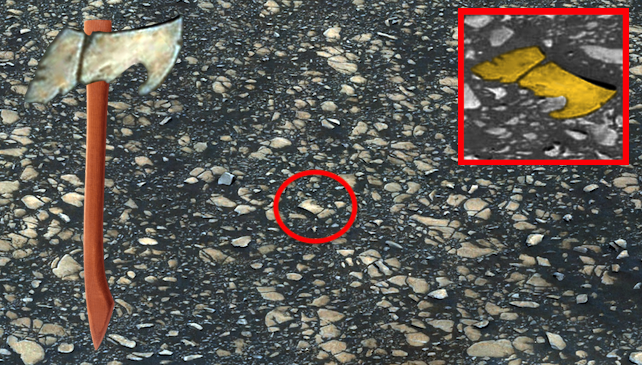 The scientists at NASA seem to be focused on controlling the rover instead of finding and reporting of important artefacts, fossils and evidence of alien life as they should be doing. 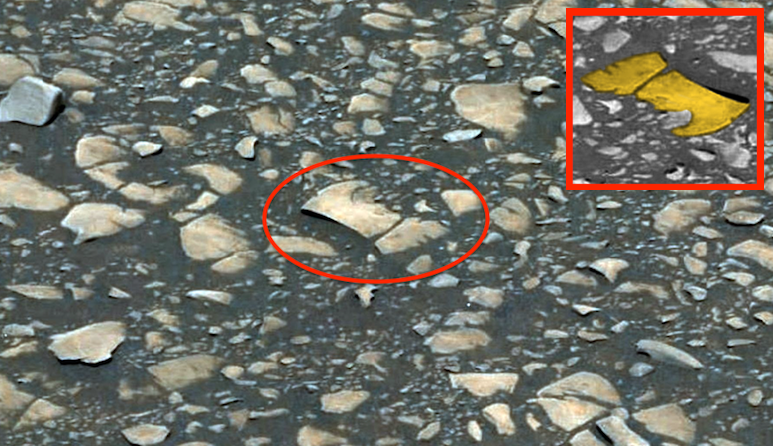 NASA can no longer be trusted to do these jobs. I believe the only way to correct NASA is to shut it down totally and start up a new more progressive and eager company to explore Mars for the public...like SpaceX. NASA has one choice, evolve or die and be replaced by SpaceX. NASA may just be a fossil themselves in the coming years.